-- 1 oz. 2 oz. 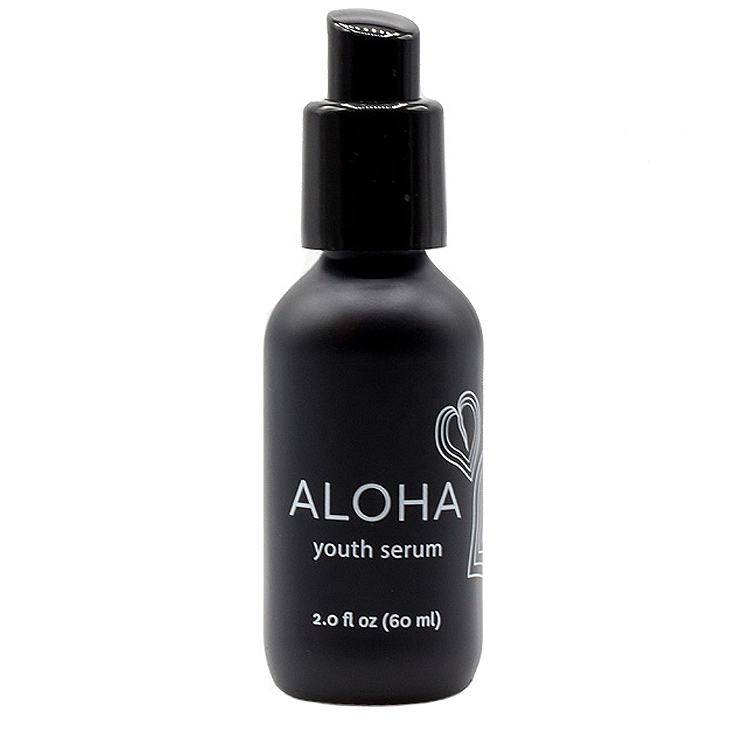 Turn back time with the Aloha Youth Serum by Honua Skincare. 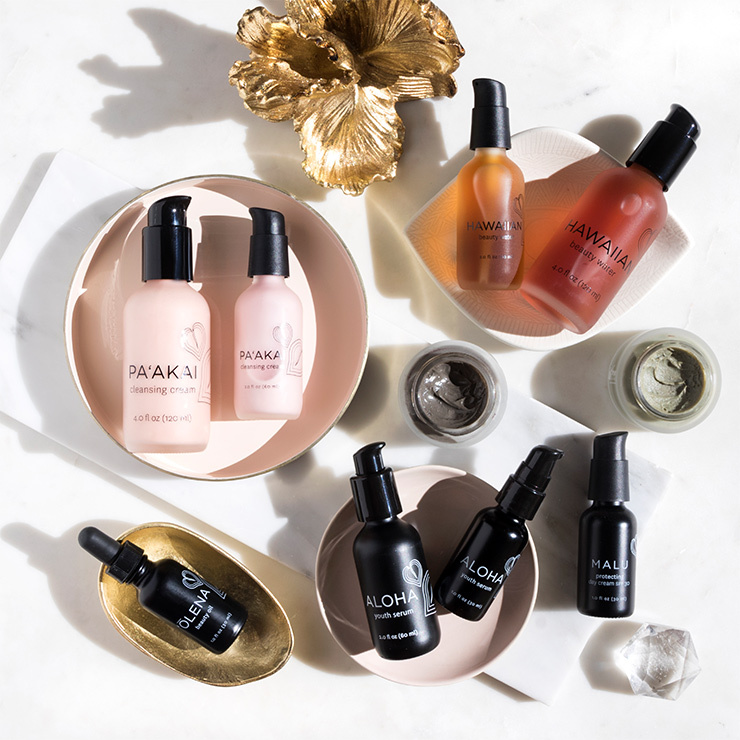 This ultra-luxe serum is a blend of traditional Hawaiian botanicals known for giving skin a look and feel of healing and regeneration. Aloalo, the hibiscus flower and the native shrub of ‘awa, work together to visibly improve firmness and tighten the appearance of skin. While the herbal infusion of noni delivers a rich dose of vitamin C and the comfrey leaf gives skin a regenerated, youthful appearance for that coveted radiant Hawaiian look. 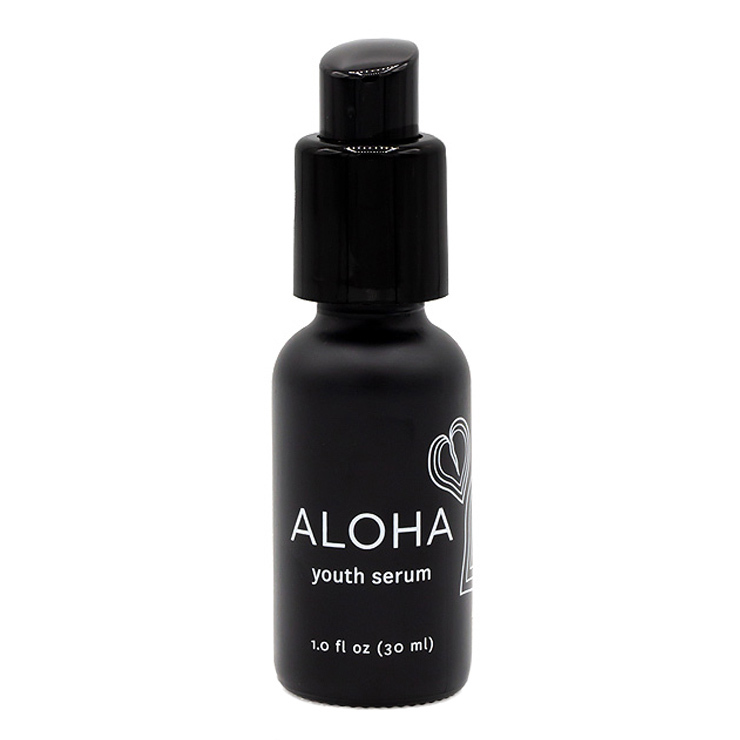 After cleansing, apply a pea size amount the Aloha Youth Serum to your hand and gently massage onto the face and decollate. Let the Hawaiian skin care product penetrate while thinking beautiful thoughts. My first impression of this was that I didn't love the scent or the texture. But the results are fantastic. Combined with the Olena beauty oil, this causes my skin to be hydrated, plump, and soft all day long. I recently spent a week at the beach and used this every day--I never looked dry or leathery, just youthful and sun-kissed. I used it on my husband. His face is often visibly red, dry, tight, and flaky. One application of the Hawaiian Beauty Water, this serum, and the Olena beauty oil, and his skin was soothed, and he looked 5 years younger. I couldn't stop looking at him, he looked so good! This is possibly my favorite Beauty Hero of all time, and I will definitely repurchase. Am strongly considering getting a set of Honua products for my husband too! I woke up with flaky patches under my eyebrows (weird, I know) caused by stress. My skin around my cheeks and forehead looked angry. This serum cleared it up within 24 hours, without a trace! I can't recommend it enough. Really absorbent, and fresh-scented. If only it was available when I was a teenager! I've been using the Honua Youth Serum since the box arrived - twice a day for about 3 weeks. My pores appear smaller, my skin feels smoother and is less blotchy. I have ezcema and am always cautious when trying new products. I love that the serum absorbs quickly. Just a clean feeling, no stickiness. A+! Beautiful skin in a bottle! The smell of this serum is absolutely divine, and the formulation has been lovingly designed from ingredient to packaging! If you're worried about ethoxylated grapefruit seed extract, you can feel safe with this formulation. The GSE used in here is a CO2 extract, which means no chemical extraction, and no ethoxylation! Kudos to Honua for giving us a safer/healthier/natural preservative alternative! You can also use this serum to create a wet foundation out of your mineral powders for flawless application and added hydration throughout the day!